The “Intro to Women’s Mysteries” workshop will bring you to new understandings of what it means to be a woman and help you see your life as an amazing, magical journey, unfolding in mysterious and wondrous ways. It will also lay the foundation for delving deeper into the mysteries in the Sacred Groves Women’s Mysteries School throughout the rest of the year and beyond….. This workshop includes an overview of the phases of a woman’s life, the many aspects of womanhood, rites of passage ceremonies and modern initiations. 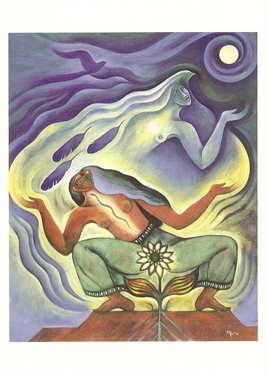 Feminine archetypes and goddesses are called upon to awaken and connect with your own divine feminine and ancient women-wisdom. We will talk, move, sing, share stories, make collages of your life journey, and set the stage for your deepening work to restore understanding and reverence for the whole-ness of your womanhood. This workshop is recommended as preparation for the Women’s Rite for Healing and Empowerment to be held in the Groves on June 5-6, 2010, a ‘better late than never’ opportunity to be welcomed into womanhood by a community of women! Read more here. Suggested Donation for the workshop is $60 which includes lunch, snacks and beverages. To register and pay on-line for this course, click here. Otherwise, contact Therese by e-mail to register.